The rising star Alwan will be given the €10,000 prize at an October 14 ceremony in Paris. The Beaver won out over a number of acclaimed novels on the shortlist, including Ali al-Muqri’s Forbidden Woman, trans. Khaled Osman and Ola Mehanna, which was given a jury citation; Najwa Barakat’s The Language of Secrets, also longlisted for the 2015 Prix Femina; and Rabee Jaber’s International Prize for Arabic Fiction (IPAF)-winning Druze of Belgrade. Al-Muqri’s special mention comes with a €5000 prize. The Prix de la Littérature Arabe is an annual prize for “an emerging writer from a member country of the Arab League who has written a work…published in French, or translated from Arabic to French, relating to the theme of Arab youth.” The prize is now in its third year. Alwan, born Riyadh in 1979, has received several laurels in his career. In 2009, he made the list of the “Beirut39,” a group of 39 top Arab writers who were 39 or younger. He was also longlisted for the Sheikh Zayed Book Award’s “young author” prize for his nonfiction book on migration, and The Beaver was shortlisted for the 2013 IPAF. 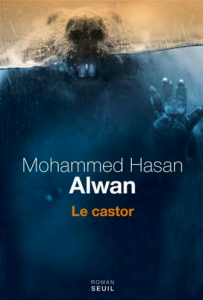 In addition to a collection of short stories and the work on migration, Alwan has published four novels, of which The Beaver was his most recent. This novel is a portrait of a contemporary conservative bourgeois family in Riyadh. The French prize was created in 2013 by Jean-Luc Lagardère Foundation and the Arab World Institute, and is chaired by Pierre Leroy. In 2013, Jabbour Douaihy won the inaugural prize for his St. George Was Looking Away, ( شريد المنازل), which was also translated by Dujols. The second annual prize went in 2014 to Mohammad al-Fakharany for his La traversée du K.-O, translated by Marianne Babut. 7. La Cigogne, or The Stork, d’Akram Musallam (Actes Sud). 0=559Look here,,,,!my co-worker’s step-aunt makes $79 an hour on the computer. She has been out of a job for 9 months but last month her pay was $17477 just working on the computer for a few hours.